In preparation for the 2015 Football Canada Cup, Football Alberta has named its under-18 provincial team. Alberta heads into the 2015 edition of the Canada Cup as the 4th seed, falling to Quebec in the bronze medal game in 2014. The wild rose province will look to improve upon this record after finishing as the runner up from 2011-13. 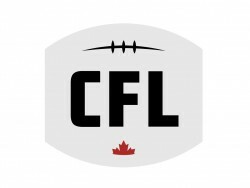 Next story CFL Draft: Could a Junior National Team alum go first overall for a 3rd consecutive year?